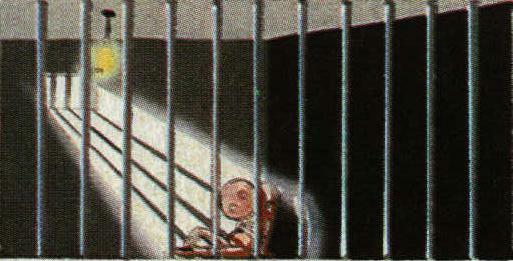 Convicted of a crime that he could not possibly have committed! The biggest and most expensive stuff up in New Zealand criminal history! About the time of Scott Watson's trial a female skull was found in the sea off Canterbury. To date the owner of this skull has not been located. To learn how evidence of normal cleaning and painting was presented as unusual behavior at the Scott Watson trial. In 1999 Scott Watson was convicted of the murders of Ben Smart and Olivia Hope following a New Years eve party at Furneaux Lodge in the Marlborough Sounds (New Zealand). Eye witnesses describe the person last seen with Ben and Olivia in the early hours of New Years day as a long haired "Mystery Man' with several days beard growth. The boat that they were last seen boarding was described by witnesses as a 40ft wooden ketch (two masted yacht) with high freeboard. When Scott was photographed earlier in the evening before going ashore, he had short hair and was obviously clean shaven. His yacht "Blade' is a 26ft steel sloop (single masted yacht) with very low freeboard. These basic facts were swept under the carpet by the authorities by means of a multi-million dollar smear campaign. This included the use of secret witnesses who were rewarded in kind for their not so secret testimonies. Innocent Man in a Living Hell!!!! On New Year"s Eve 1997, young holiday-makers Ben Smart and Olivia Hope dissapeared from a party at a seaside resort, last seen boarding a mystery yacht with a mystery man. Five months later 25 year old Scott Watson was arrested and later convicted of their murders. He is now serving a life sentence. But is Watson guilty? Keith Hunter is one of the many who think not and in 2003 he produced an award-winning documentary that showed why. Now he goes further, revealing how the jury"s verdict was aquired. He lays bare the misinformation and manipulations of advocacy in the adversarial system of law, turning the tables on Scott Watson"s accusers to make them and the system itself the accused. Hunter asks"Is this justice, New Zealand style?" To read about the way police manipulated Scott's statements to paint him as a liar. This photo of Scott was taken onboard the Mina Cornelia at about 9.30pm before going ashore for the evening. At least half an hour after the mystery man is said to have been ashore drinking in the bar. He is plainly clean shaven and his hair is very short. When shown this photo at the depositions hearing, Guy Wallace said that this was not the man that he delivered to the "mystery ketch" with Ben and Olivia. Some of the people pictured stated in evidence that Scott returned to his boat alone at around 3.30am. At the end of a three month trial and in the dying minutes of the prosecutions summing up to the jury, the police case against Scott Watson changed dramatically. Why was Scott Watson not eliminated as a suspect early in the enquiry when there was no evidence of his involvement? Guy Wallace stated in evidence at the trial that the only thing "Blade" had in common with the "mystery ketch" was that it floated. Scott is pictured in the foreground. 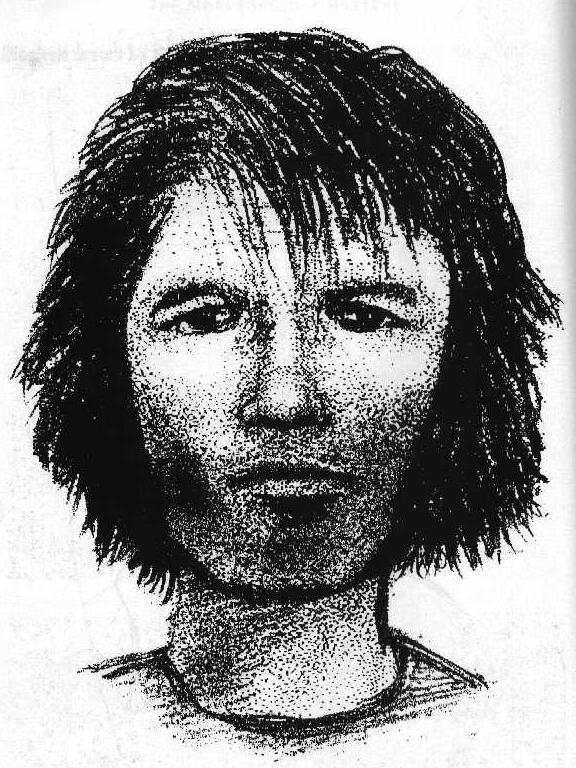 This is a portrait of "The Mystery Man" drawn by an artist after interviewing Guy Wallace. Both Guy Wallace who served the man at the bar and later took him to a ketch, and the bar manager Roz McNeilly who also served this man at the bar, say the portrait is a good recognisable likeness of the man. 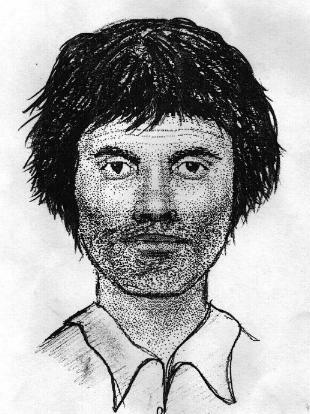 The man was about 174cm (5ft 9in) tall, wiry build, dark hair, weather-beaten, aged about 32 at the time (now aged about 36). 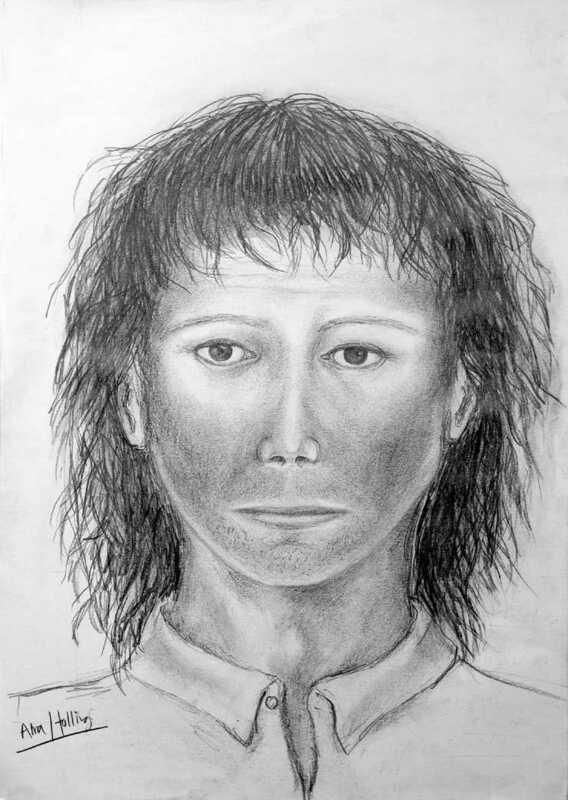 Guy states that during the creation of the original police identikit the sketch machine broke down halfway through and that sketch is wrong on several points e.g. hair too short and straight, more facial hair needed (stubble since added) and wrong eyes. He also served this man drinks earlier in the evening whilst working behind the bar. He claims the "mystery man" was drinking in the bar as early as 8.00 to 9.00pm. EXCLUSIVE - A star secret witness who told the Marlborough Sounds double murder trial that Scott Watson confessed to the killings now says his evidence was a lie. … ‘jailhouse informant’ is a term that conveniently captures a number of factors that are highly relevant to the need for caution. These include the facts that the jailhouse informant is already in the power of the state, is looking to better his or her situation in a jailhouse environment where bargaining power is otherwise hard to come by, and will often have a history of criminality. Click Here to Read the Complaints Laid Concerning Detective Rob Pope and His Role in Ensuring Scott Watsons Conviction!!!! 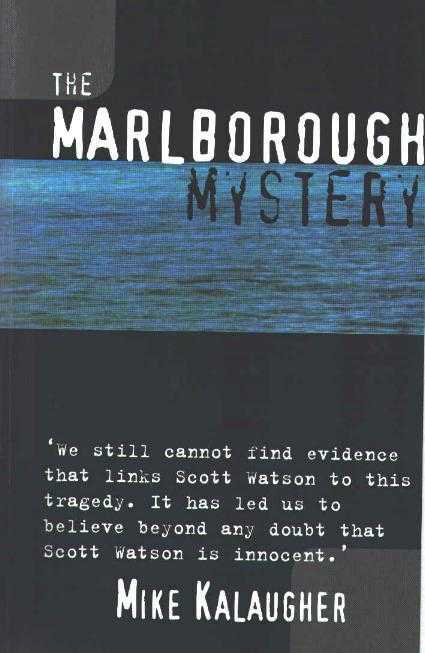 I'm very pleased to announce on behalf of Mike Kalaugher and Jenny Kalaugher that their book "The Marlborough Mystery" is now available for the printing cost price of $10. with your details (Name, address, contact number etc), and Mike or Jenny will reply with account details and postage costs for your address (this is generally between $3.50 and $5.00 within New Zealand). Please sign the Guest Book and join the Facebook groups or send an email. Ben and Olivia, What Really Happened? A full account of the trial is given in the book: "Ben and Olivia, What Really Happened?" by Jason Rhodes and Ian Wishart. This book is no longer in print but may be obtained at your local library or a second hand book shop.